Dr. Graham, MD is Director of the Aflac Cancer and Blood Disorders Center of Children's Healthcare of Atlanta. Dr. Graham is a physician scientist with clinical expertise in the treatment of children with leukemia. He has been actively involved in the Children’s Oncology Group (COG), and currently serves on the Acute Myeloid Leukemia (AML) Disease Steering Committee. He also leads an active research laboratory focusing on developing novel therapeutics for pediatric cancer. Dr. Graham’s team has developed a new cancer drug that is now in early phase clinical trials at Emory University. 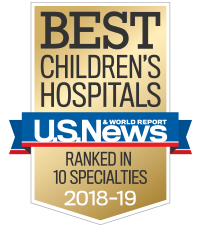 As leader of the Aflac Cancer Center, Dr. Graham is committed to developing a comprehensive program that will provide outstanding clinical care for children in Georgia and throughout the Southeast. He is helping lead the recruitment of cancer and hematology researchers who will be able to directly impact the development of new treatments for pediatric hematology/oncology patients. Dr. Graham received his medical degree and PhD in microbiology and immunology from University of North Carolina in Chapel Hill, N.C. He completed his residency in pediatrics and a fellowship in pediatric hematology/oncology at University of Colorado at Denver. Dr. Graham and his wife, Jane, have three children, and he enjoys being outdoors and playing sports, in particular tennis, racquetball, hiking and biking.